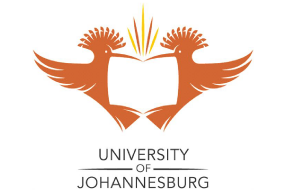 THE University of Johannesburg is temporarily covering the costs of nearly 4000 students who applied to the National Students Financial Aid Scheme as the fund does not have enough money. UJ vice-chancellor Ihron Rensburg said the fund could not cover costs for 3,900 students who applied and qualified for the government financial aid scheme. The university is expected to receive R300-million from the government. “We realised last year when we were doing the funding forecast that we were going to have a problem,” Rensburg said. “There were 3,900 students who applied and qualified for the NSFAS that we could not accommodate. “Of these 1,700 were final-year students. How do you say to a final-year student that you cannot come back? Last year UJ spent R45-million from its own coffers on augmenting NSFAS funding. This in addition to R89-million spent on bursaries. This year the institution will only allocate R20-million to the NSFAS, while bursary funding will be increased to R107-million. Rensburg said the bridging agreement was temporary and he worried about what would happen next year. Deputy Minister of Higher Education and Training Mduduzi Manana said the NSFAS agreed that funding was a huge issue for students. “We have increased the amount of money offered to universities for the NSFAS, but the demand is also increasing,” he said.